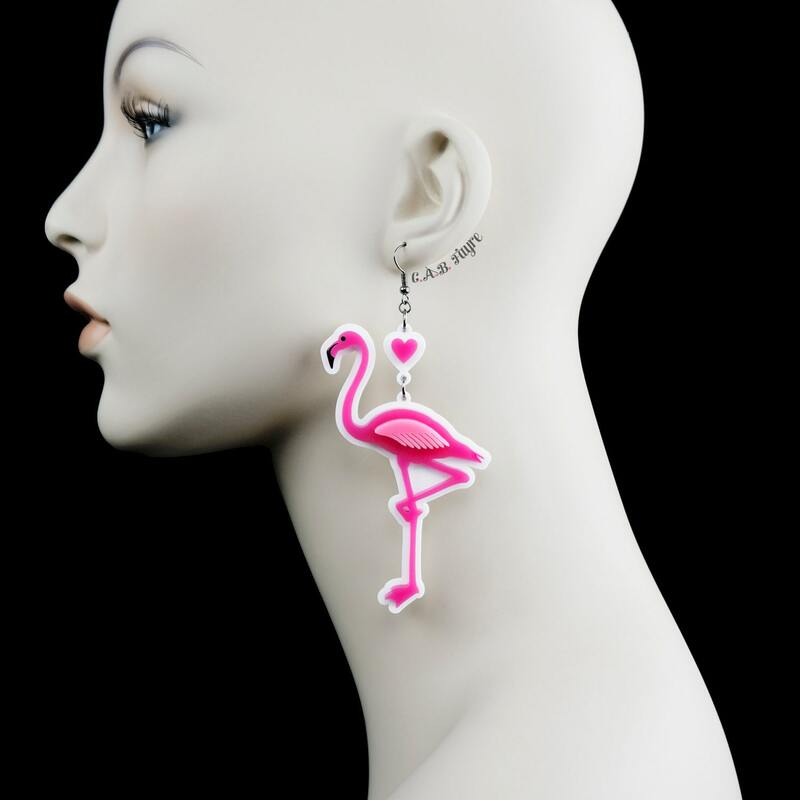 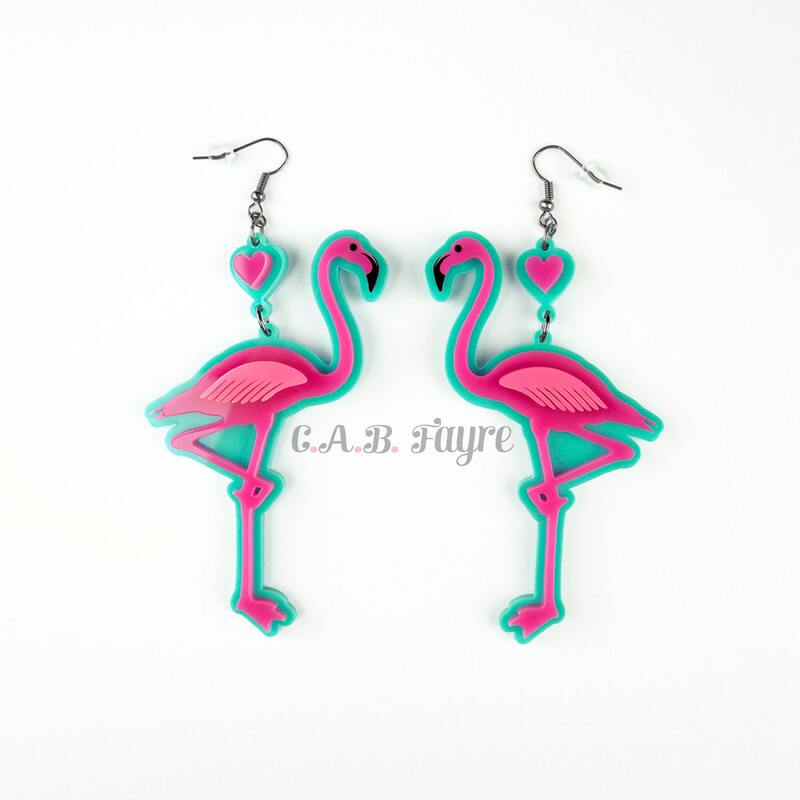 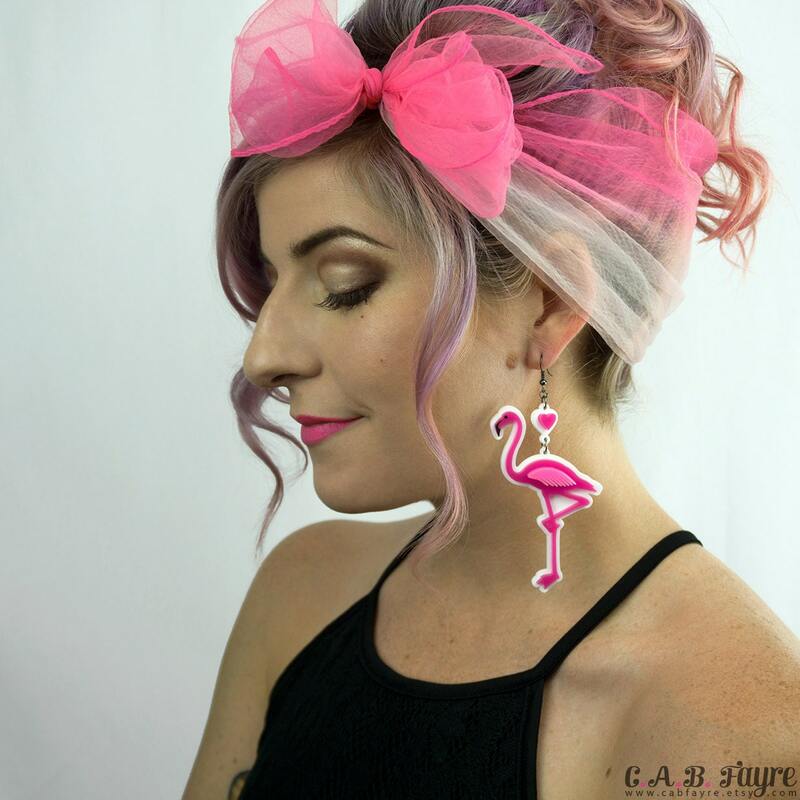 These flamingo earrings are made of 3 layers of acrylic (a background piece, a pink flamingo, and its wing). 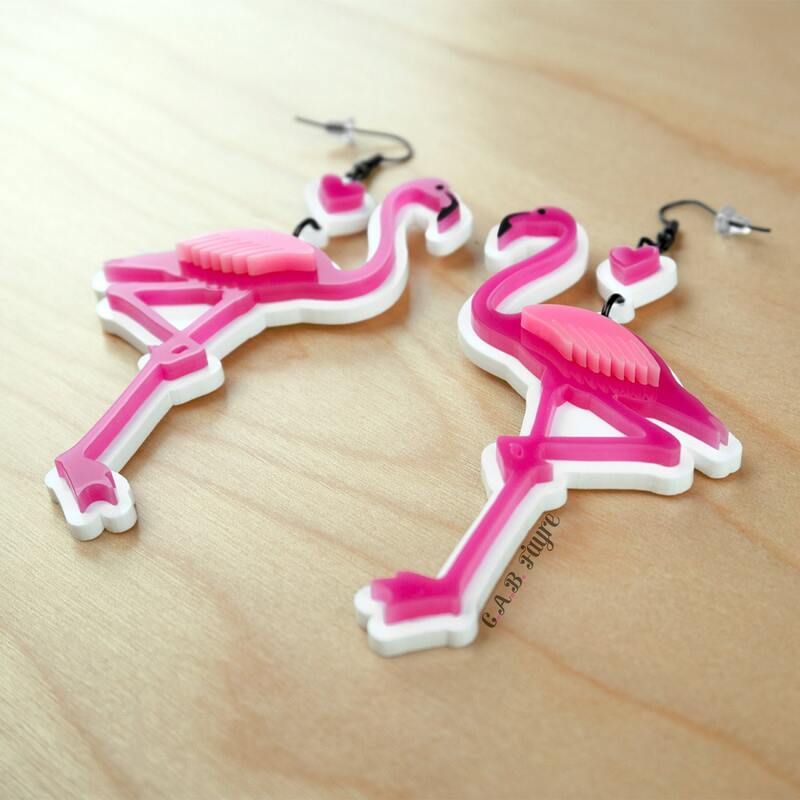 The flamingos have engraved beaks & eyes that have been hand painted black. 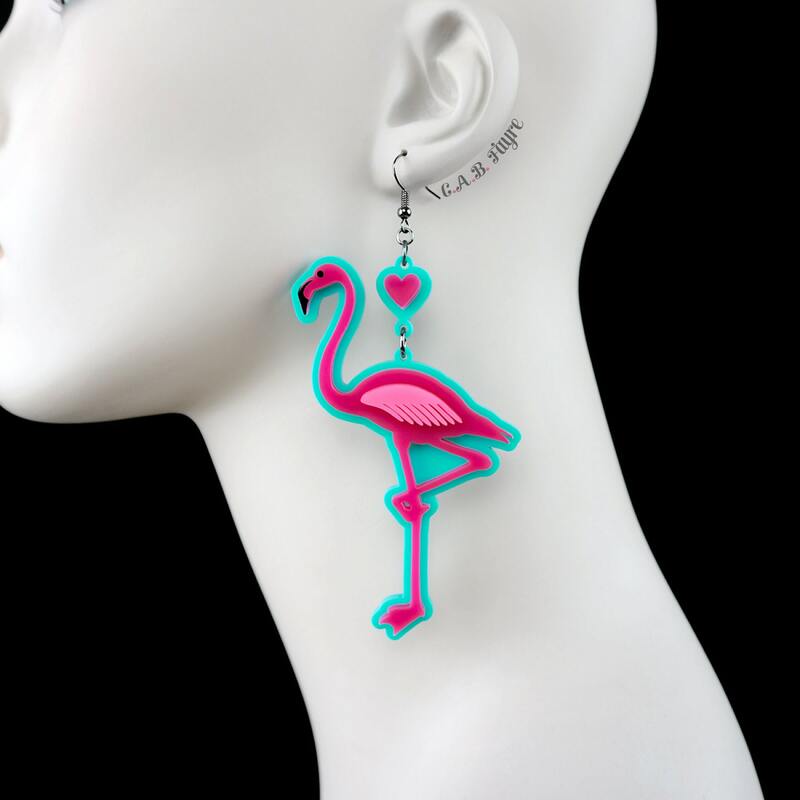 Total Earring Length (including earring hook): about 4.25"
All earring hooks are nickel and lead free and come with rubber backs.